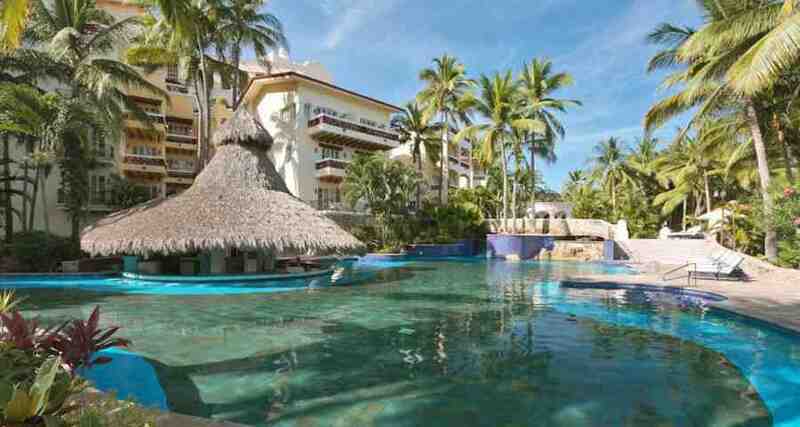 Grand Isla Navidad Resort is a luxury 5.5* family friendly beachfront resort located in Isla Navidad, Mexico. It features 199 rooms and swimming pools. All inclusive meal plans are available! Surrounded by lush, coastal hillsides and acres of stately coconut palms, Grand Isla Navidad Resort has been designed to reflect the rich heritage and culture of its native land. Flowing fountains and abundant gardens are enhanced by superb furnishings, blending perfectly with the natural setting. Serving as the centerpiece of Isla Navidad, a 1,200 acre private island close to Manzanillo, bordered by ocean-sculpted coves and a tranquil lagoon, this magnificent beach resort impresses guests with privileged luxuries such as a yacht marina and a breathtaking golf course. It is important for the hotel guests to know that the bellboys, concierge and chambermaid services have a mandatory single charge applied at the end of your stay.